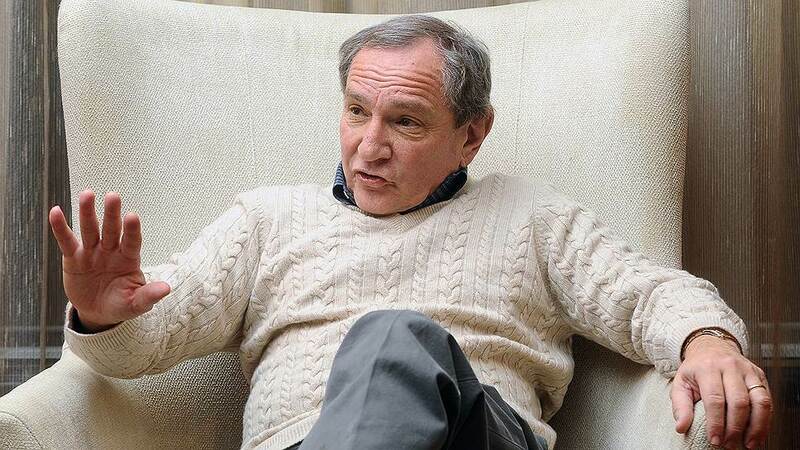 George Friedman, the well-known American political scientist, recently visited Moscow. Stratfor, the private analytical and intelligence agency which he directs, is often referred to in the US as a "shadow CIA." In an interview with "Kommersant" he talked about what goals the United States is pursuing in Ukraine, and explained why these goals are incompatible with Russian interests. KOMMERSANT: In your analytical work you refer to the fragmentation of Europe. How is this fragmentation manifested? GEORGE FRIEDMAN: During the Cold War the borders within Europe have been preserved. It was understood that, if you start to change them, it will lead to destabilization. Once the Cold War ended, the redrawing of borders got started in Yugoslavia. Later, there came about also a de facto change of the borders in the Caucasus. Quite recently, 45% of Scots voted for independence. The Catalans are also seeking independence. Against this background, I do not think the Ukrainian situation (where one part of the country feels pulled toward convergence with the EU, while the other is inclined toward Russia) is something altogether unique. The Ukrainian situation fits into the centrifugal tendencies that we have been already been seeing in Europe for a while now. Indeed, until recently, no one thought that the British-Scottish question, which appeared to have been settled 300 years ago, would suddenly and so urgently resurface. In other words: the Ukrainian crisis is connected with Russia, but not only with Russia. It is also associated with processes in Europe, with the crisis of Europe itself. KOMMERSANT: European politicians say that what is causing the destabilization of Europe are Russia's actions directed toward Ukraine. GEORGE FRIEDMAN: Europeans are very proud of what they call their "exceptional" status: that supposedly they have rid themselves of war and that, for more than half a century, they have lived in a world of stability and prosperity. But until the early 1990s Europe, in essence, was occupied by the Soviet Union and the United States. And then there was Yugoslavia, then the Caucasus. The European continent has never been truly peaceful. 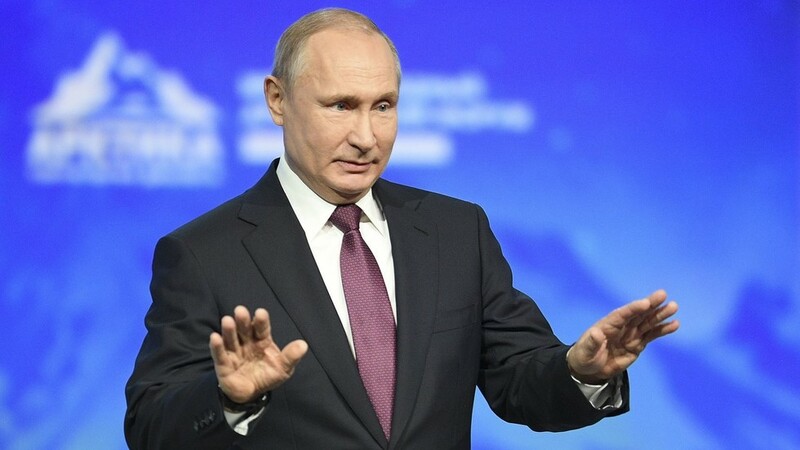 KOMMERSANT: But US officials, as well as the leadership of EU member states, have explained their harsh policy toward the Russian Federation on the basis that, through its annexation of the Crimea, Russia for the first time since the Second World has "redrawn borders by force." GEORGE FRIEDMAN: Americans know that this is nonsense. The first example of the changing of borders by force was Yugoslavia. And Kosovo was only the culmination of this process. And the United States is directly involved in these events. KOMMERSANT: What is the goal of US policy as far as Ukraine is concerned? GEORGE FRIEDMAN: For all of the last 100 years Americans have pursued a very consistent foreign policy. Its main goal: to not allow any state to amass too much power in Europe. First, the United States sought to prevent Germany from dominating Europe, then it sought to prevent the USSR from strengthening its influence. KOMMERSANT: Today, who in your opinion is the United States trying to restrain? GEORGE FRIEDMAN: Today the US is seeking to block the emergence of a whole range of potential regional hegemons: Serbia, Iran, Iraq. At the same time, the US authorities take advantage of diversionary attacks. For example, in a battle, when the enemy is on the verge of achieving victory, you hit him in the side get him off balance. 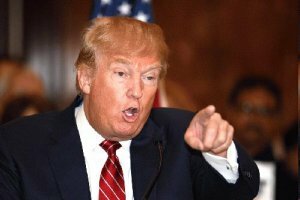 US does not seek to "defeat" Serbia, Iran or Iraq, but they need to create chaos there, to prevent them from getting too strong. KOMMERSANT: And with regard to Russia, what tactics do they use? GEORGE FRIEDMAN: The fragmentation of Europe is accompanied by a weakening of NATO. European countries, in essence, have no [real] armies of their own. In the North Atlantic Alliance the United States is the only country that is strong in military terms. Against the background of the weakening of Europe, the comparative power of Russia has grown significantly. Russia's strategic imperative is to have as deep a buffer zone on its western borders as possible. Therefore, Russia has always been particularly concerned about its relationship with Belarus, Ukraine, the Baltic States and other countries in Eastern Europe. They are of great importance for Russia's national security. At the beginning of this year there existed in Ukraine a slightly pro-Russian though very shaky government. That situation was fine for Moscow: after all, Russia did not want to completely control Ukraine or occupy it; it was enough that Ukraine not join NATO and the EU. Russian authorities cannot tolerate a situation in which western armed forces are located a hundred or so kilometers from Kursk or Voronezh. The United States, for its part, were interested in forming a pro-Western government in Ukraine. 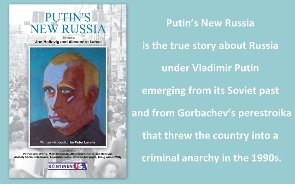 They saw that Russia is on the rise, and were eager not to let it consolidate its position in the post-Soviet space. The success of the pro-Western forces in Ukraine would allow the U.S. to contain Russia. Russia calls the events that took place at the beginning of this year a coup d'etat organized by the United States. And it truly was the most blatant coup in history. KOMMERSANT: You mean the termination of the agreement of February 21, or the entire Maidan? GEORGE FRIEDMAN: The whole thing. After all, the United States openly supported human rights groups in Ukraine, including financially. Meanwhile, Russia's special services completely missed these trends. They didn't understand what was taking place, but when they did realize what was going on they were unable to take action to stabilize the situation, and then they misjudged the mood in East Ukraine. KOMMERSANT: In other words, the Ukrainian crisis is the result of the confrontation between Russia and the United States? GEORGE FRIEDMAN: Here you have two countries: one wants a Ukraine that is neutral. The other wants Ukraine to form part of a line of containment against Russian expansion. One cannot say that one party is mistaken: both are acting based on their national interests. It's just that these interests don't jive. For the Americans, as I have said, it's important to prevent the emergence of a hegemon in Europe. But recently the U.S. has begun to worry about Russia's potential and its intentions. Russia is beginning to move from the defensive position that it has held since 1992 in the direction of the restoration of its influence. It's a matter of the fundamental divergence of the national interests of two great powers. KOMMERSANT: What actions on the Russian side could have caused the United States to become wary? GEORGE FRIEDMAN: Russia had begun to take certain steps that the United States considered unacceptable. Primarily in Syria. It was there that Russians demonstrated to the Americans that they are capable of influencing processes in the Middle East. And the US has enough problems in that part of the world already without the Russians. Russians intervened in the process in the Middle East among other reasons because they had hoped to get leverage to influence US policy in other areas. But they miscalculated. The United States thought that it was Russia's intent to harm them. It is in this context that we should be evaluating the events in Ukraine. 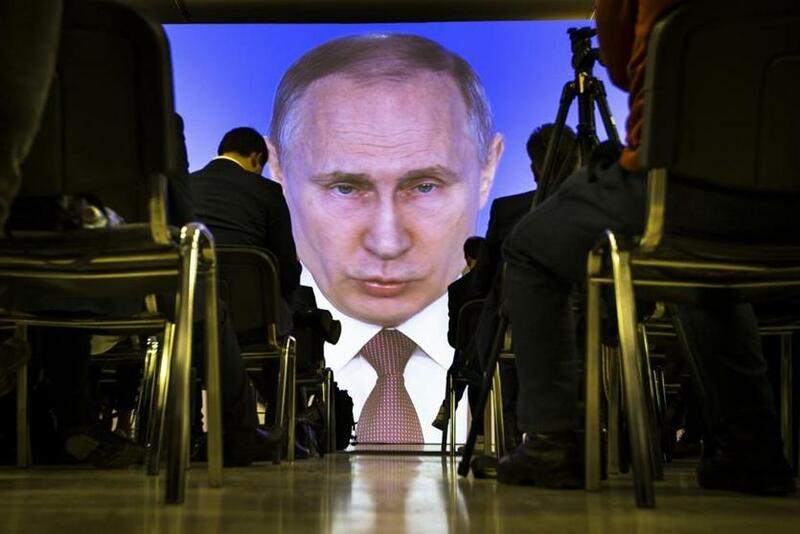 The Russians, apparently, simply have not calculated how seriously the US side might perceive their actions or the extent to which they can easily find countermeasures. It was in this situation that the United States took a look at Russia and thought about what it wants to see happen least of all: instability in Ukraine. KOMMRERSANT: So you think Ukraine is a form of revenge for Syria? GEORGE FRIEDMAN: No, not revenge. But Russian intervention in the process in Syria, while the United States was still addressing the problems in Iraq, and was in negotiations with Iran ... 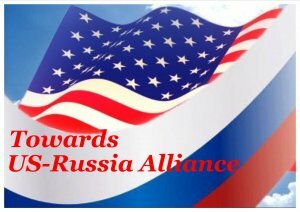 In Washington, many people have the impression that Russian want to destabilize the already fragile US position in the Middle East - a region that is of key importance for America. About this question there were two different points of views in Washington: that the Russian were just fooling around, or that they have found a weak point of the US and were trying to take advantage of it. I'm not saying that Russia's intervention in the Syrian conflict was the cause of the Ukrainian crisis, that would be a stretch. 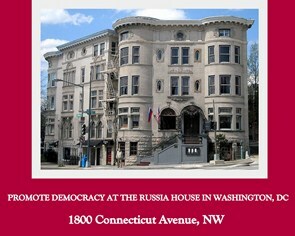 But this intervention tipped the balance of opinion in Washington in the direction of the opinion that Russian is a problem. And in that case what does one do? Not confront them in the Middle East. Better to pull their attention away to a problem in some other region. KOMMERSANT: What, in your opinion, is the idea behind the US sanctions? 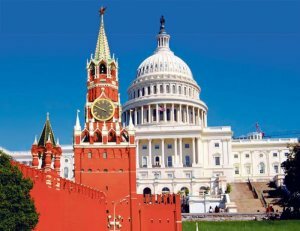 Russian authorities say that the US wants to bring about regime change. 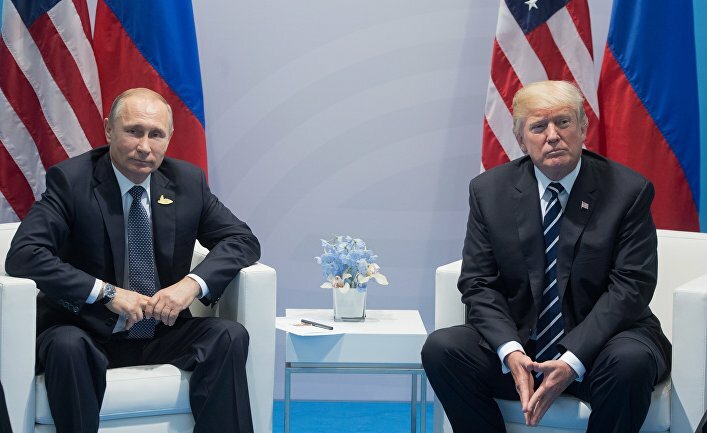 GEORGE FRIEDMAN: The purpose of the sanctions is to -- with minimal damage to the US and with a somewhat larger damage to the EU -- hurt Russia in order to make it capitulate to US demands. The sanctions demonstrate the power of the United States. And the United States are happy to make use of that power against countries who lack the means to adequately respond to it. It is also an opportunity to "line up" the Europeans. 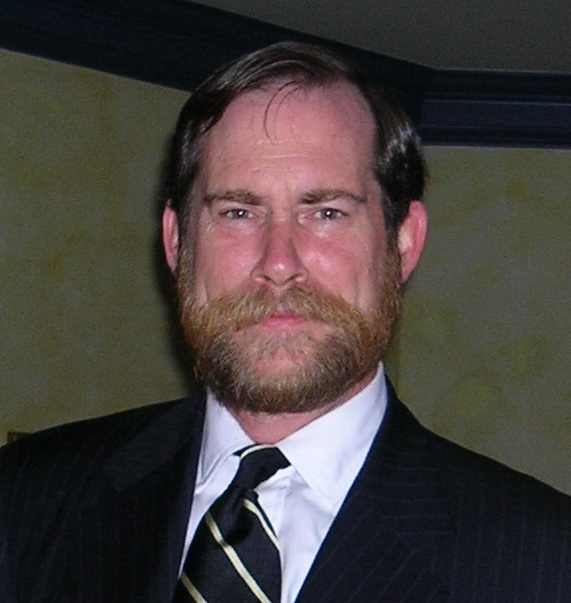 I do not think that the United States' main purpose is regime change in Russia. The main goal was to limit the Russian authorities' room for maneuver, which is indeed what we are witnessing. But here other factors also played a role, such as, for example, the slowing down of the Russian economy, and falling oil prices. KOMMERSANT: In Russia, many say that oil prices have dropped thanks to a US conspiracy with countries in the Persian Gulf. GEORGE FRIEDMAN: It is always easier to explain a difficulty by reference to someone else's deliberate actions. But a number of countries, including China, India and Brazil, have reduced their forecasts as regards their rate of economic growth. And Europe by the way has a zero growth. What is more, a revolution in the petroleum sector is taking place, the amount of available oil is growing. A fall in oil prices wasinevitable. What else did you expect? But you have built your economic strategy not only on high oil prices, but on the export of energy resources as such. That made you vulnerable! You should have used the last 10-15 years of high earnings from selling energy resources to diversify the economy, but your government did not do this. KOMMERSANT: Can we expect US-Russian relations to improve after the next presidential election in the US? GEORGE FRIEDMAN: In Russia you overly personify American politics. In the US the president is only one of the institutions of power, he is not all-powerful. Obama is also bound hand and foot, as were his predecessors. If in the Middle East groups like the "Islamic State" are rapidly gaining momentum it doesn't matter whether the US President is a Democrat or a Republican -- he will have to hit them hard. And no American president can afford to sit by idly if Russia is becoming more and more influential. Russia's actions in the Middle East, or, say, in the case of granting asylum to Edward Snowden were perceived in the US as being directed against US interests. Any US president would have to react to it. About three years ago, in one of my books, I predicted that as soon as Russia starts to increase its power and demonstrate it, a crisis would occur in Ukraine. It was obvious. KOMMERANT: Howrealistic do you think is Russia's rapprochement with China? GEORGE FRIEDMAN: China has a lot of problems of its own now -- declining growth, high inflation and unemployment. There is no point expecting gifts from Beijing. And the construction of a pipeline to China, on which the Russian authorities will have to spend a significant amount of money, is unlikely to have any sort of tangible impact on the Russian economy. KOMMERSANT: What's your sense of how the situation in the Ukraine will develop further? GEORGE FRIEDMAN: Russia will not make concessions in the Crimea, that is obvious. But I imagine it will face serious problems with getting supplies to the peninsula. And yet Moscow cannot retreat from a number of its requirements with respect to Ukraine. It cannot allow Western military forces to be located on Ukraine territory. This is a nightmare in Moscow, and limits its room for maneuver. 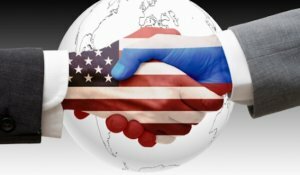 The US will need to make a strategic decision, not now but in the future, either to intervene more actively in events in Ukraine, which is fraught with difficulties, or to build a new alliance -- within NATO or outside of NATO -- with the participation of Poland, Romania, the Baltic States and, for example, Turkey. This is already happening, slowly but it is happening. And this will be something that Russia will not accept -- a "cordon sanitaire." It's not that the US needs to have control over Ukraine; for them the important thing is that it not be controlled by Russia. Much will depend on Kive.The government in Kiev is the Ukraine's weak point. If it fractures - something which, surprisingly, is not what we observe, then Russia will try to turn this to their favor. But the main question is whether Russia itself can come through in one piece. It is now facing many of the factors that led to the collapse of the Soviet Union: the lack of an effective transportation system; a skeptical attitude towards the capital in many regions, from the Caucasus to the Far East; but the main thing is that there is an economy that can only function under certain circumstances -- namely, high energy prices. You have only one product, and today there is an excess of it on the global market.